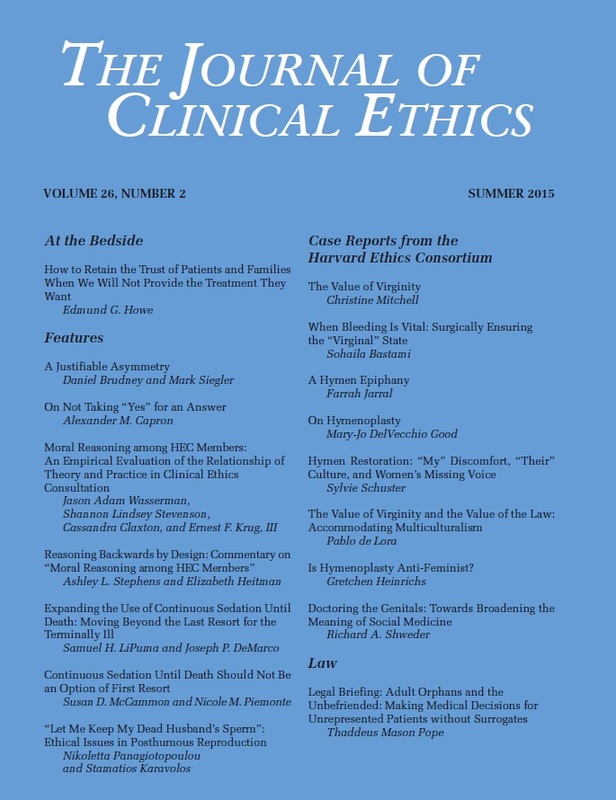 This issue’s “Legal Briefing” column covers recent legal developments involving medical decision making for incapacitated patients who have no available legally authorized surrogate decision maker. These individuals are frequently referred to either as “adult orphans” or as “unbefriended,” “isolated,” or “unrepresented” patients. The challenges involved in obtaining consent for medical treatment on behalf of these individuals have been the subject of major policy reports. Indeed, caring for the unbefriended has even been described as the “single greatest category of problems” encountered in bioethics consultation. In 2012, JCE published a comprehensive review of the available mechanisms by which to make medical decisions for the unbefriended. The purpose of this “Legal Briefing” is to update the 2012 study. Accordingly, this “Legal Briefing” collects and describes significant legal developments from only the past three years.